Philips is taking light beyond illumination, with its connected systems. Philips has been revolutionizing lighting for over 125 years. They pioneered the world changing development of electric light and LED, and are now leading the way in intelligent lighting systems. Both in public spaces, buildings and homes. We asked Anne-Cathrine Tjørnehøj, PR Manager at Philips Lighting Nordic, to give us their unique perspective on the industry’s current development. “We truly believe in innovation – and have always done so – but we also believe in partnerships. We must work together with other innovative companies to stay at the forefront of the development to be able to offer the best solutions to our customers,” says Anne-Cathrine Tjørnehøj. Philips is a major player in the global lighting industry, but the industry as a whole is more fragmented than ever – how do Philips position itself towards its clients to stand out? What is the industry’s biggest challenge over the next 5 years, and how does this affect Philips? The life cycle of LED is a topic that will become increasingly urgent as cities replace old light sources with LED; how is Philips working to ensure sustainability across its production process? “As mentioned before – the climate change, the increase in global population and the need for more resources – makes it so important to focus on sustainability and to act now. 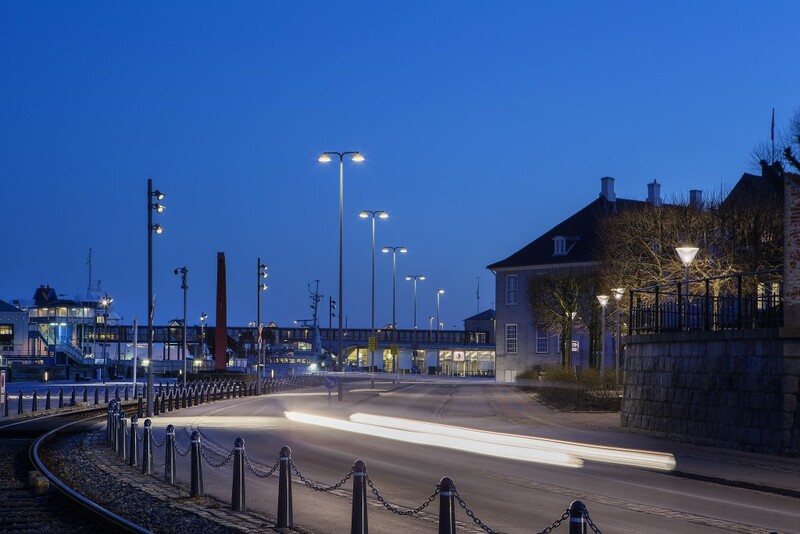 Designer Knud Holscher’s luminaire UrbanMoon, with its CityTouch software, in Helsingør’s harbour area. Can you say a few words about a recent project in the region? You can read more about Philips Lighting here (international version) and the Danish & Swedish by clicking on the country names.